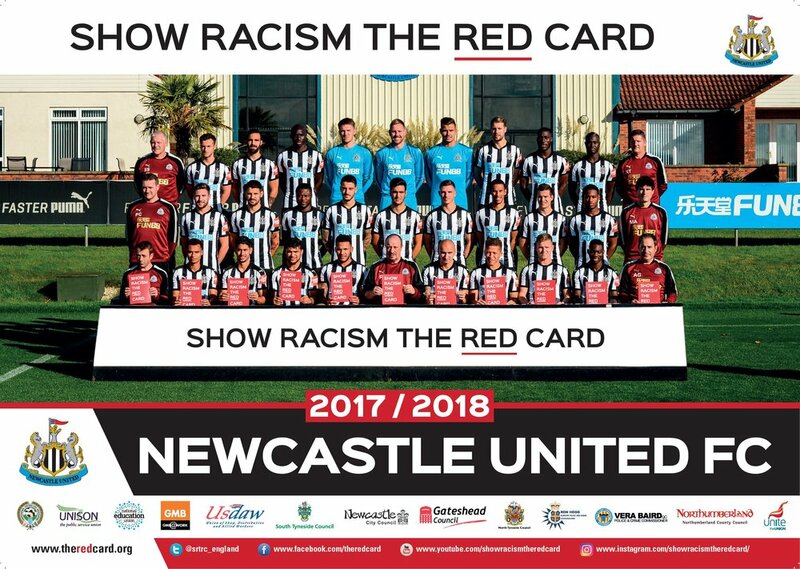 With the 17/18 football season now well underway, Show Racism the Red Card are once again working with football clubs to help deliver our anti-racism education to young people all over the UK. Each season SRtRC produce posters featuring as many teams as possible from England, Scotland & Wales, as they hold up our red cards to show their continued support of our campaign. SRtRC would like to say a big thank you to everyone at the club and NU Foundation for their support over the last 21 years! DOWNLOAD: @SRTRC_England is giving fans a FREE download of their version of the 2017/18 #NUFC team photo.